Sensual and atmospheric, embattled and defiant, in the throes of turbulent events and viewing from a distance, these stories are windows that open onto the men, women and children of our twenty-first century world. The people portrayed do not seek our pity nor our love but with each turn of a page, we may feel that we want to reach out to them to say, I know, I know, I know – you are not alone. Short stories by Jo Barker Scott, Joan Brennan, Gina Challen, Nick Holdstock, CG Menon, Dan Powell, Angela Sherlock, Megan Taylor, Medina Tenour Whiteman, Lindsay Waller-Wilkinson. 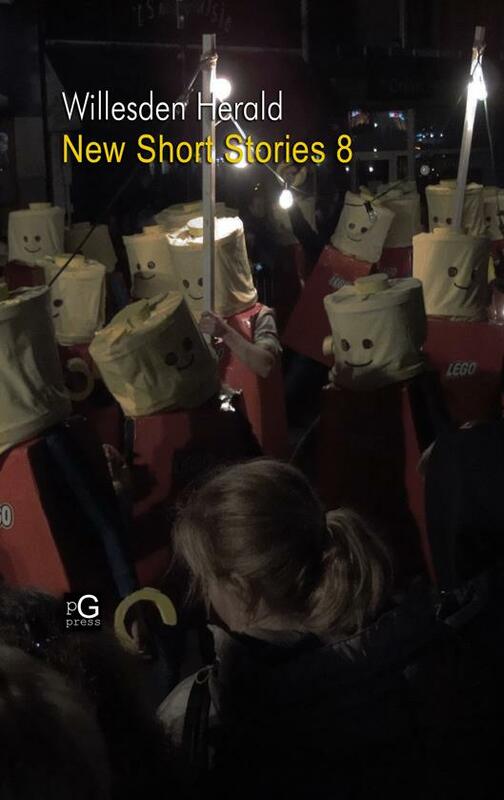 New Short Stories 8 is the anthology of the Willesden Herald Prize 2014 shortlisted stories. I am well pleased, after entering for the last 3 years or so, to have a story shortlisted and included in what is a fantastic annual anthology. The cover image has just been released and can be seen below. As someone who has played Dead Rising I think the image is both a little disturbing and hilarious. I can’t wait to read the other stories that will feature in the collection. Read the official blurb below to see why you need to buy this book.